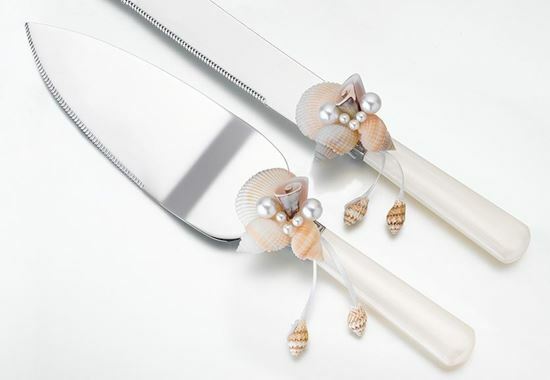 Seashell Serving Set This set includes one 12" long cake knife and one 9.5" long cake server. Both are made of stainless steel. The handle is made of off-white acrylic. Each is accented by a removable seashell and bead decoration.